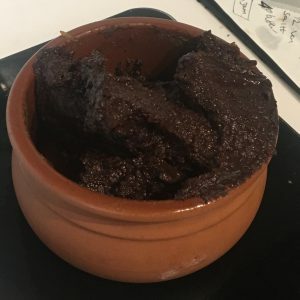 Posted on September 22, 2018 Posted in Cakes	. 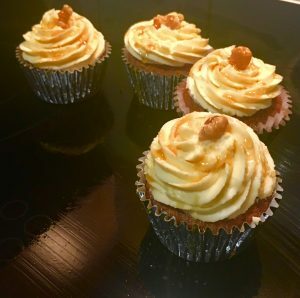 I have made quite a few variations of carrot and pineapple desserts, however I’m never quite satisfied with the final outcomes. 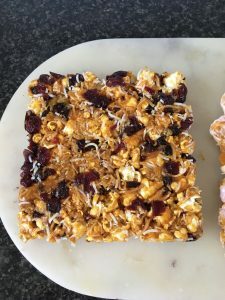 Yes they were nice, but have never been blog worthy, they always lacked a little something extra to give them that wow factor. 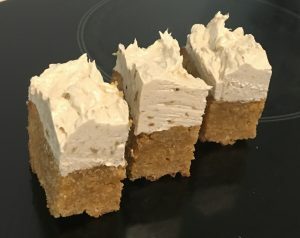 Finally I have got there, funnily it was as simple as using my carrot cake recipe as a base and altering accordingly. 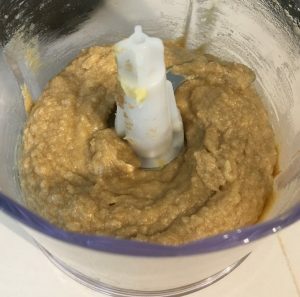 I can’t believe I had the perfect base recipe all along and have attempted 5 different versions over the span of the last 2 years! 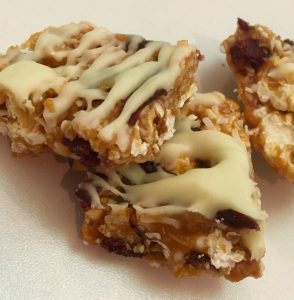 So we know coconut and pineapple are complementary tropical flavour parings. While, the carrot and the pineapple have very similar textures as well as being well balanced when combined (the pineapple sweetness works perfectly with the savory flavour of the carrot). 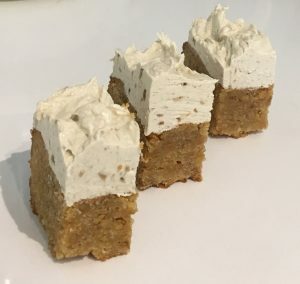 This recipe is an easy and luscious-tasting spin on a tropical cake combined with a spiced carrot cake. 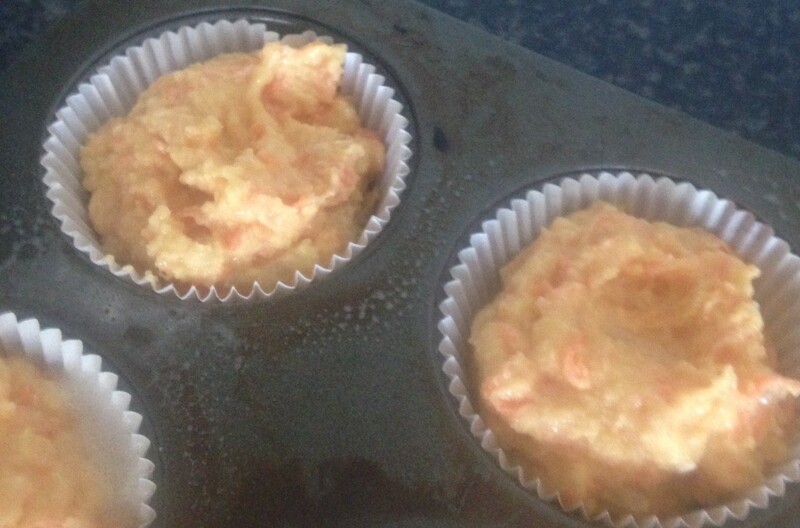 Pre-heat the oven to 200c degrees and line a 16 capacity cupcake tin with cupcake patties. Spray the inside of the patty cases with a little oil spray. 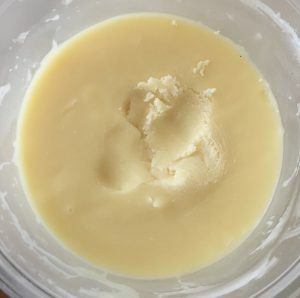 Using electric beaters beat the butter and sugar until light and creamy. 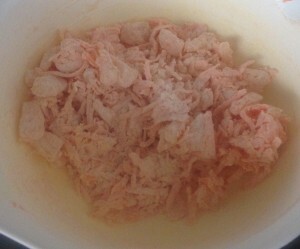 Add the egg and beat until well combined. 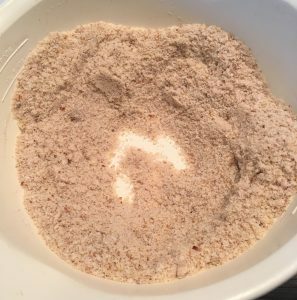 Add the flour, powder, soda, spices, coconut and zest in another bowl and stir until combine. 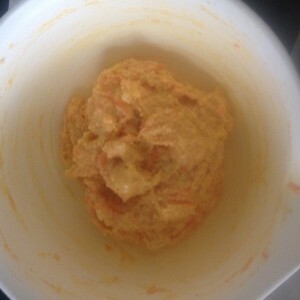 Grate the carrot and add into the flour mix along with the diced pineapple, stir to combine. Add the butter mix to the flour and stir. 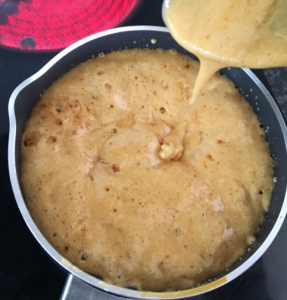 Add the coconut milk and stir until the mix is well combine. 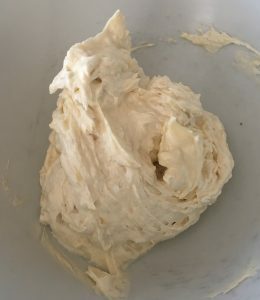 Meanwhile make the icing by placing all the ingredients into a bowl and using electric beats whisk until light and fluffy. 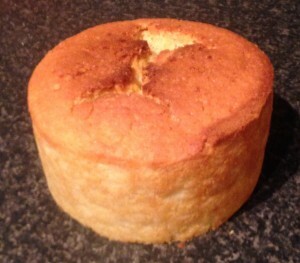 Once the cakes are cooked place on a cooling tray until cold. 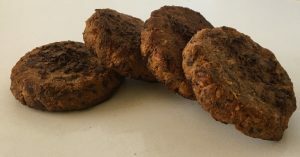 Remove from the patty cases. Spoon the frosting into a piping bag fitted with a star nozzle and pipe little circles of frosting on each cake. 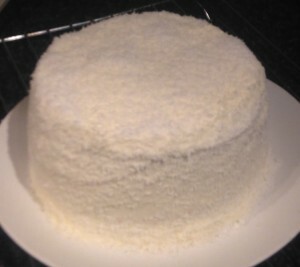 Top with a pineapple piece or extra coconut if desired. Tags: carrot, Carrot Pineapple and Coconut Cakes, coconut, pineapple	. 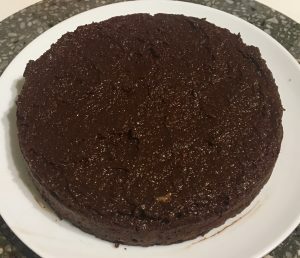 Posted on December 22, 2017 Posted in Cakes	. 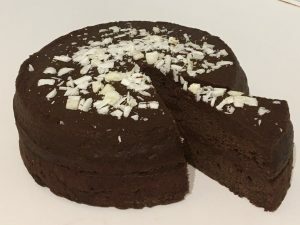 Thought cheesecake is always a devilish high bad fat treat? 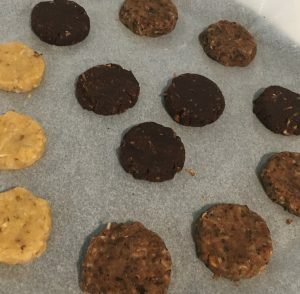 Think again, this recipe I have created only has healthy fats from nuts and coconut. 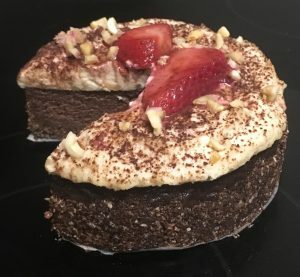 Yes, a healthy high protein cheesecake can exist and most importantly, it tastes delicious (what’s the point otherwise)!The tofu provides a high protein low carb and low fat stable base, while low fat ricotta cheese significantly cuts the fat that a normal cream cheese cheesecake has. 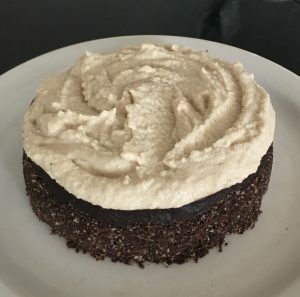 And as apparently raw is healthy and hot right now I wanted to make sure this cake was on theme and trend with people’s desires. 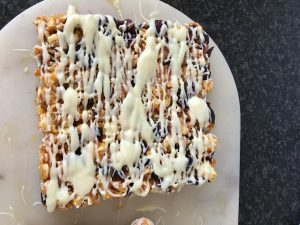 Using the nuts and dried fruit makes this cake completely gluten free, while the peanut puree icing is fulfilling and satisfying. 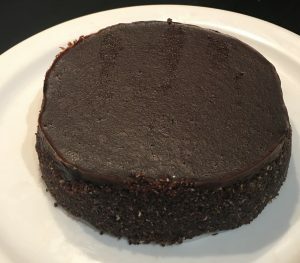 To be honest if I added veggies this cake would be a meal in itself with plenty of healthy fats, protein, calcium, even fruit! 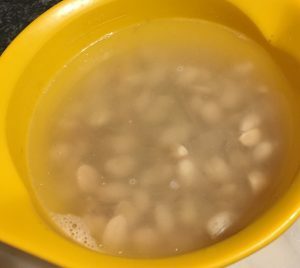 Place the peanuts into a bowl and cover with boiling water. Soak nuts for 5 hours. Meanwhile, preheat the oven to 175c degrees and line a 25cm spring form cake tin with baking paper. Toast the coconut by placing in a fry pan on the cooktop on high heat. Using a spoon move the coconut around to ensure even toasting of the coconut until golden brown in colour. Place aside to cool. 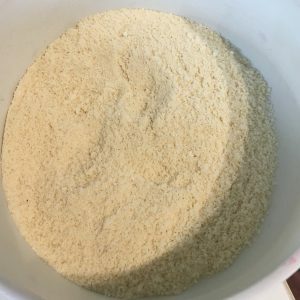 Place the cooled coconut and remaining base ingredients onto a food processor and blitz until well combine and the mix resembles fine breadcrumb texture. 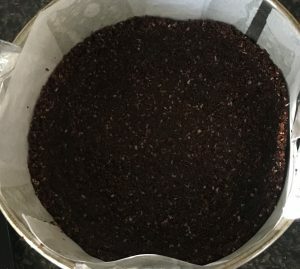 Pour the base mix into the prepared cake tin and using the bottom and sides of a cup flatten the base and sides of the mix in the tin. Place the tin in the fridge to harden. 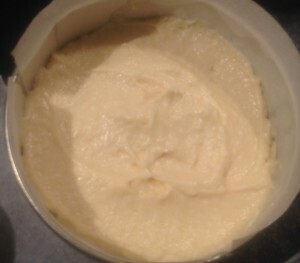 To make the filling place all the filling ingredients into a food processor and blitz until smooth and silky in texture. 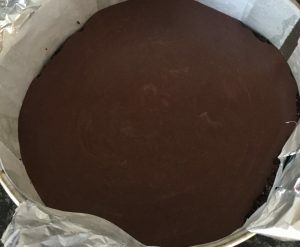 Pour the filling mix into the cake tin over the base. 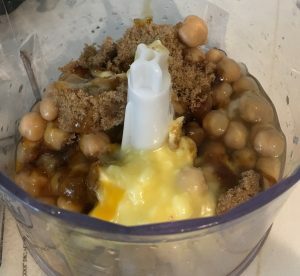 Place the cake in the oven to bake for 1 hour or until a skewer inserted in the center comes out almost clean (if inserted in the sides it should come out clean). 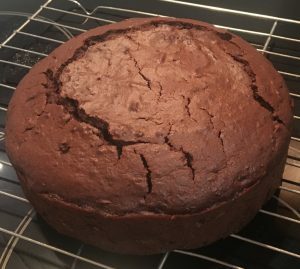 Move the cake to a cooling rack until cold to touch. 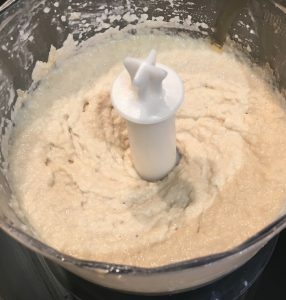 Meanwhile make the icing by draining the peanuts and placing into a food processor along with the coconut cream and honey. Blitz the icing mix for 5 minutes, scraping down the sides every minute. To assemble the cake, remove the cooled cake from the tin and place on a serving plate. 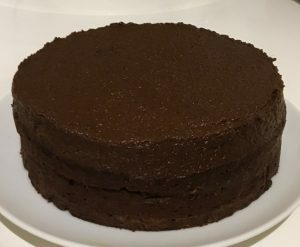 Spread the icing over the top of the cake and place the cake in the fridge for 2 hours to full set. 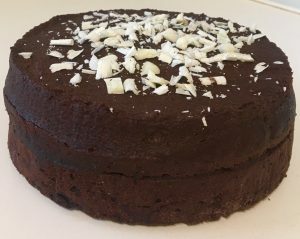 Note: I have decorated with extra chopped peanuts, extra toasted desiccated coconut and grated chocolate. 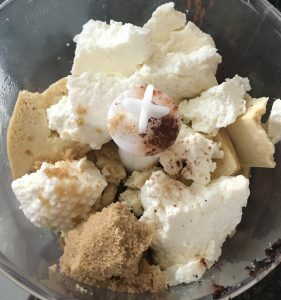 Tags: chocolate, cinnamon, coconut, coffee, firm tofu, peanut butter, peanuts, ricotta cheese, tofu	. Posted on September 9, 2017 Posted in Truffles	. 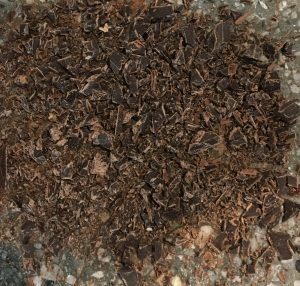 I do love a good chocolate truffle and after eating some the other day I thought that the truffle base ingredients of chocolate and cream leave open a massive opportunity to play with different flavor combos into the plain chocolate mix. 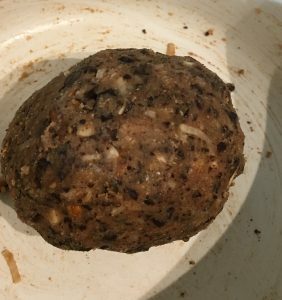 As truffles are super easy to make and the variety of flavor combos and alternative ingredients to use are endless I went experimenting craziness. 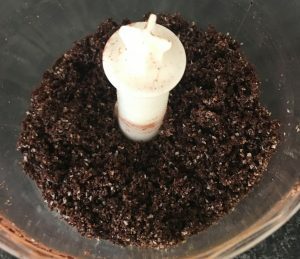 Jelly crystals, oils, essences, lollies, candy, zest, dried fruit, jams, purees, cordial, spreads…basically anything I could think of that would add a unique flavor I tried and tested in a standard truffle recipe. 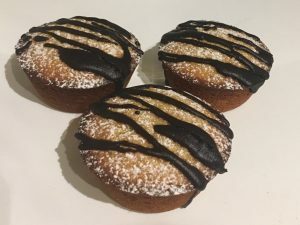 Out of the many many truffle recipes I made up, 3 were significant standouts. 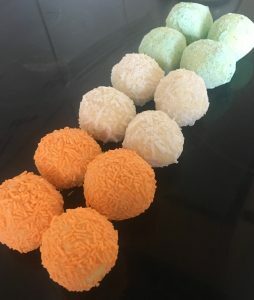 These being Peppermint, Mandarin and Pineapple Coconut flavors. 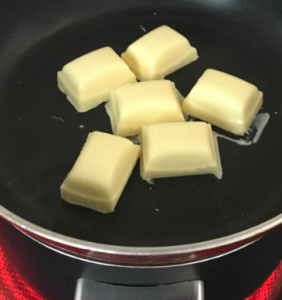 To make the peppermint truffles place the ingredients into a bowl and heat on medium in the microwave for 90 seconds or until the cream just starts to steam. Allow mix to sit for 2 minutes then stir until well combined and smooth, place in the fridge to set for 3 hours. To make the mandarin truffles zest a whole mandarin until you get ½ tsn in volume. 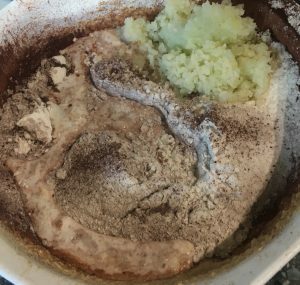 Add the mandarin zest, cream and chocolate into a bowl and heat on medium in the microwave for 90 seconds or until the cream just starts to steam. 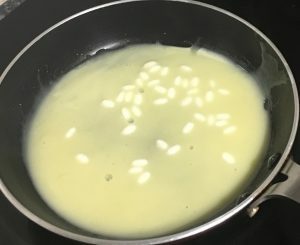 To make the tic-tac truffles, place the box of tic-tacs into a saucepan on medium heat with the cream and using the back of a metal spoon squash and breakup the tic-tacs into the cream. Stir the tic-tac mix until all the tic-tacs have disintegrated and combine with the cream. 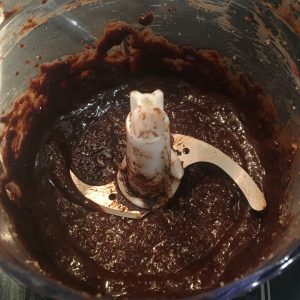 Add the chocolate and stir until the mix is smooth and well combine. 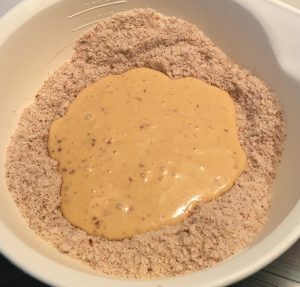 Place the mix into a small bowl and into the fridge for 3 hours to set. 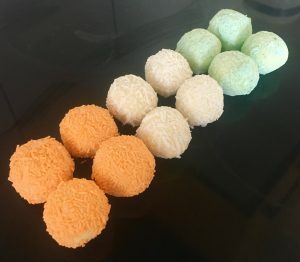 Meanwhile place the desiccated coconut into a bowl, the orange sprinkles into a 2nd bowl and the green sprinkles into a 3rd bowl. Once the mixes are firm scoop out a 15g piece of peppermint mix, rolling in your palms to create the truffle ball. Place the truffle ball in the green sprinkle bowl and shake the bowl to coat the ball in sprinkles completely. Place onto a clean plate. Continue with all the peppermint truffle mix and sprinkles. Scoop out a 15g piece of the mandarin mix rolling in your palms to create a truffle ball. Place the truffle ball in the orange sprinkle bowl and shake the bowl to coat the ball in sprinkles completely. Place onto a clean plate. Continue with all the mandarin truffle mix and sprinkles. 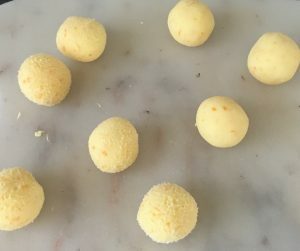 Lastly, scoop out a 15g piece of the tic-tac mix rolling in your palms to create a truffle ball. 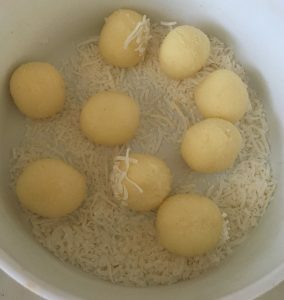 Place the truffle ball in the coconut bowl and shake the bowl to coat the ball in coconut completely. Place onto a clean plate. 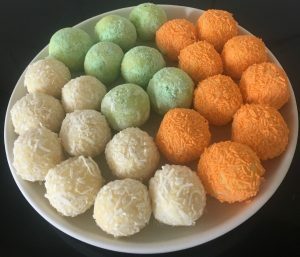 Continue with all tic-tac truffle mix and coconut. Place the plates in the fridge until ready to serve by arranging neatly on a plate or as desired. Enjoy! 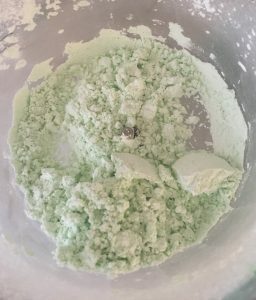 NOTE: If you don’t have green sprinkles you can blitz icing sugar and green food coloring in a food processor and roll the balls into the mix. 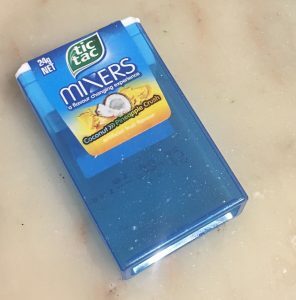 Tags: coconut, mandarin, Mixed Bag Truffles, peppermint, pineapple, tic-tacs, Truffles	. 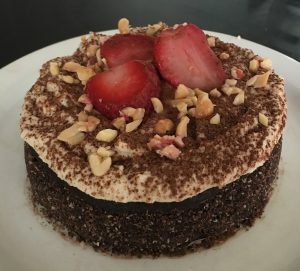 Posted on May 13, 2017 Posted in Cakes	. 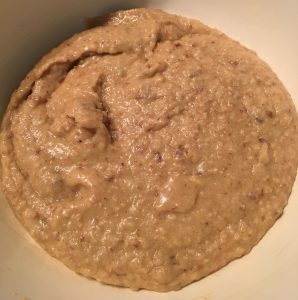 So you may have noticed this recipe is not really unusual like my usual recipes. Coconut, Lime and Rum are all tropical flavors that make sense together. 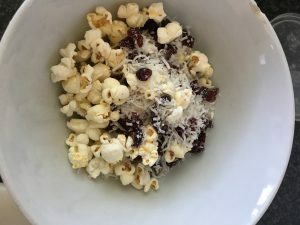 Why this recipe makes it to my website is because it’s the first time I have made a recipe with Malibu that has really excited me. 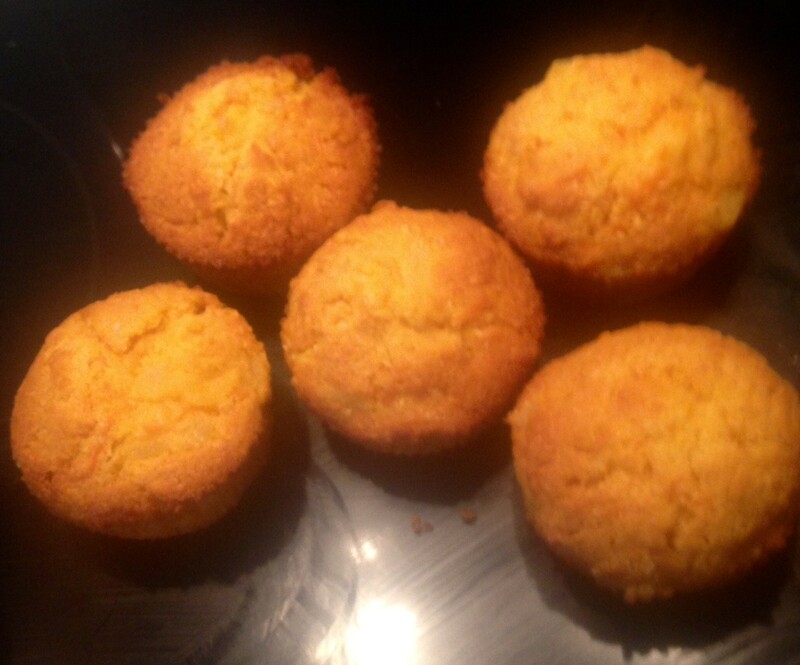 Yes I bake with alcoholic liquors quite often, especially rum, however Malibu is not a common baking liquor. Also, and most importantly this recipe is so extremely amazing and exceeded my expectations so much I just had to share it. 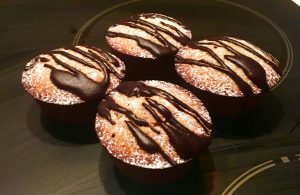 I’m very much a chocoholic, but this recipe had me opting for these mini cakes over a chocolate cake! Preheat the oven to 160c degrees and place 12 cupcake patties into a 12 capacity cupcake tin. Using electric beaters whisk the butter and sugar until light and fluffy. 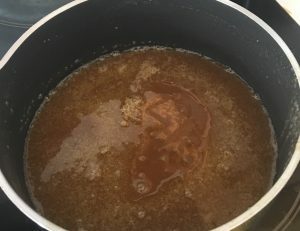 Add the rum essence and beat. Add the coconut to the mix and beat. 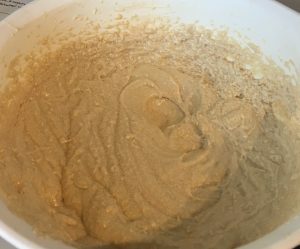 Add the flour and baking powder through the sieve. 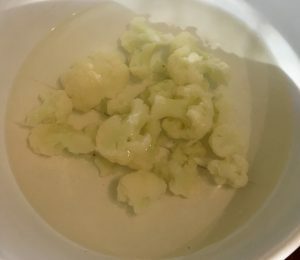 Add the coconut cream and lime zest, stir until combine. Oil the cupcake patties with oil spray and pour the mix into the cases. 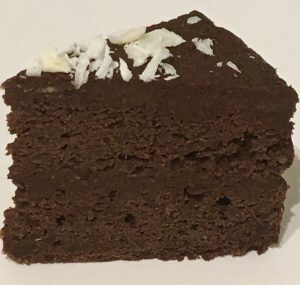 Bake in the oven for 25 minutes or until a skewer inserted into the center of a cake comes out clean. 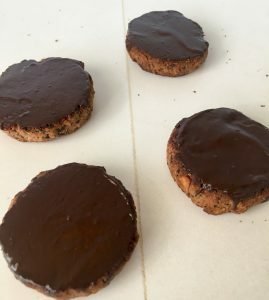 Place the cakes onto a cooling rack to cool. 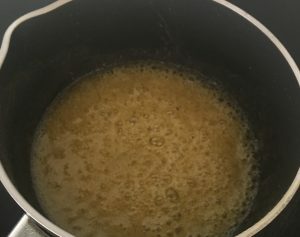 To make the syrup place the ingredients into a saucepan and bring to the boil. 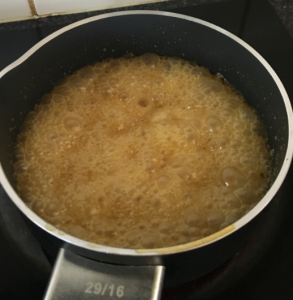 Bring the temperature down to medium and allow to cook until the mix thickens to a syrup consistency. 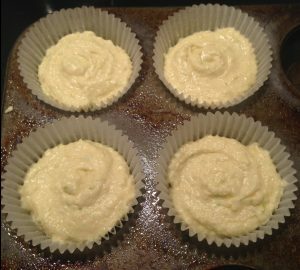 Pour the syrup evenly over the cakes. 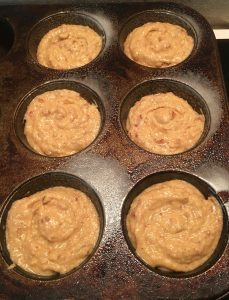 Place the coconut onto a tray and in the oven until slightly browned. Sprinkle the coconut on the top of the cakes. 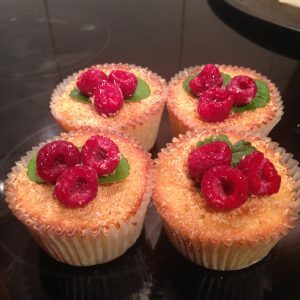 Top with 1 mint leave (optional) and 3 raspberries OR 4-5 pomegranate seeds per cake. 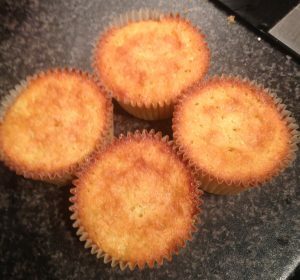 Tags: coconut, lime, Malibu, Sticky Coconut Malibu Lime Mini cakes, syrup	. Posted on October 3, 2016 Posted in Cakes	. 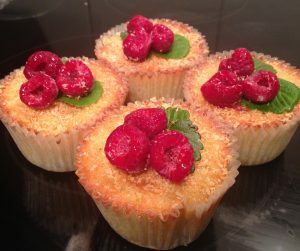 Turning the cocktail ‘raspberry mojito’ into a decadent cake, this recipe clearly derived from another night out’s inspiration. The taste and contents of this cake is exactly that, white rum, raspberry jam and lots and lots of coconut (4 types in fact). A pretty simple and straight forward coconut cake spiked with rum and sweetened with raspberry it’s no surprise this cake hits the spot for coconut fans. 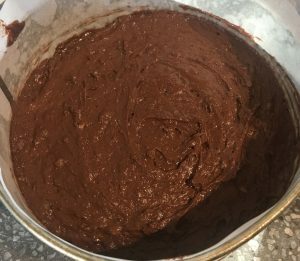 Pre-heat the oven to 160c degrees and line 2 x 25cm cake tins with baking paper. 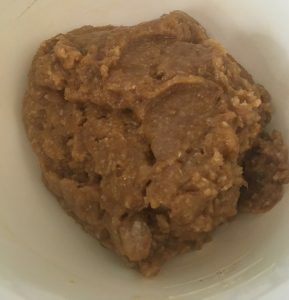 Place the coconut, milk and rum in a bowl, stir and leave aside for 1 hour. 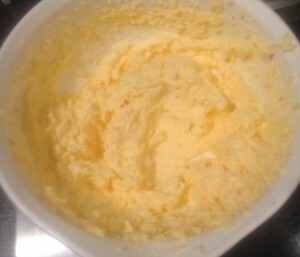 With electric beaters beat the butter and sugar until the mix is light and fluffy. 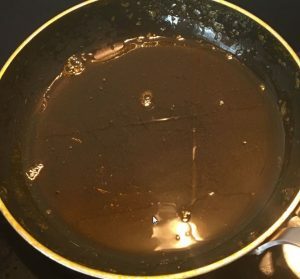 Add the essence and beat for 1 minute. 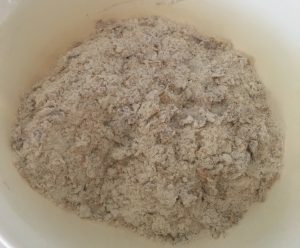 Sift in the flour and add the rum mix, stir well. 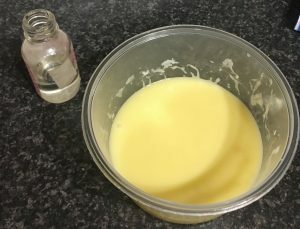 Using a spatula lightly mix the rum mix into the egg mix until well combined. 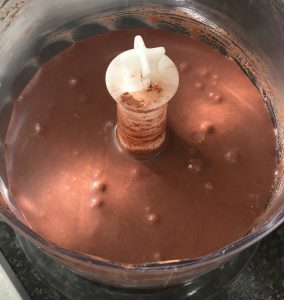 Pour into the cake tins evenly and bake for 1 hour or until a skewer inserted into the center of the cakes comes out clean. 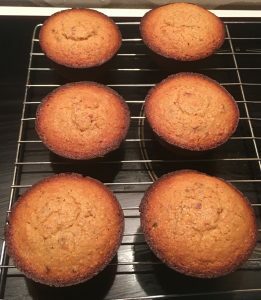 Leave the cakes aside to cool on a cooling rack until cold. Cut the cakes both into 2 even layers horizontally. 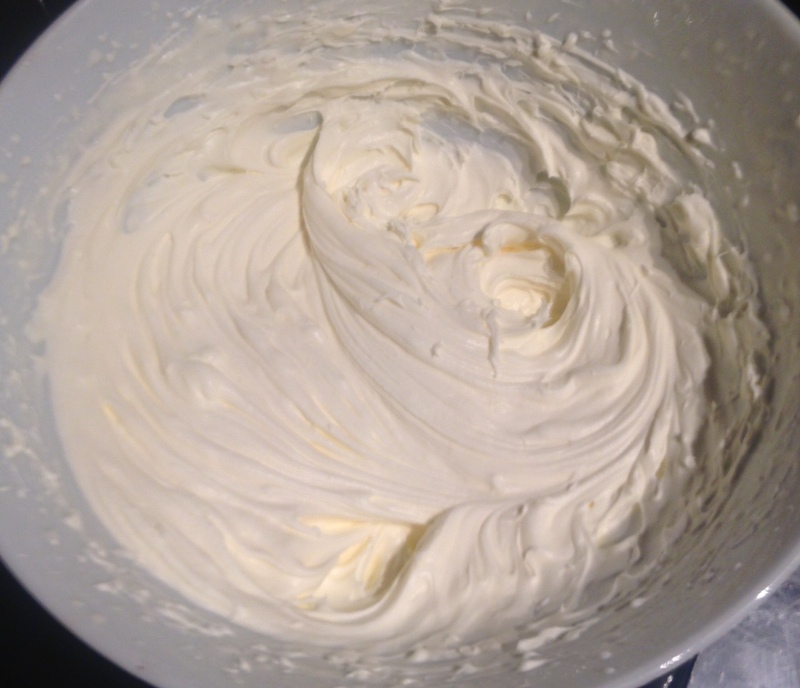 Whip the cream and the icing sugar with electric beaters until peaks form. 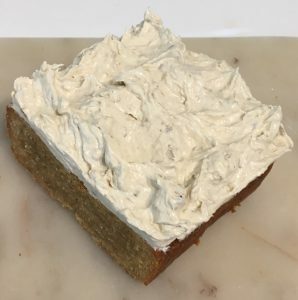 Place one cake layer on a plate spread 1/2 of the jam, add the second layer, spread with 1/3rd cream mix, add a third layer and spread the remaining jam. 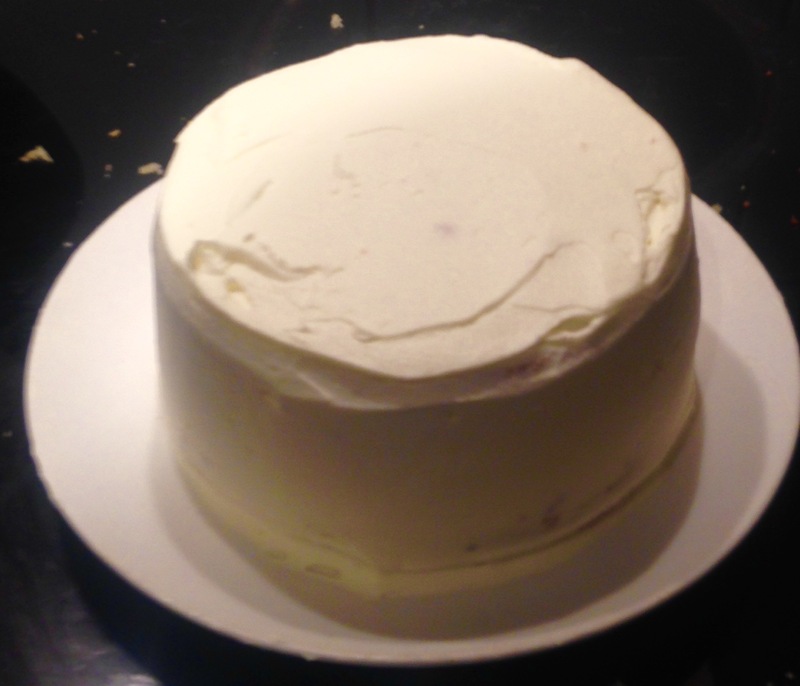 Top with the last layer and spread the remaining cream on the top and sides of the cake evenly. 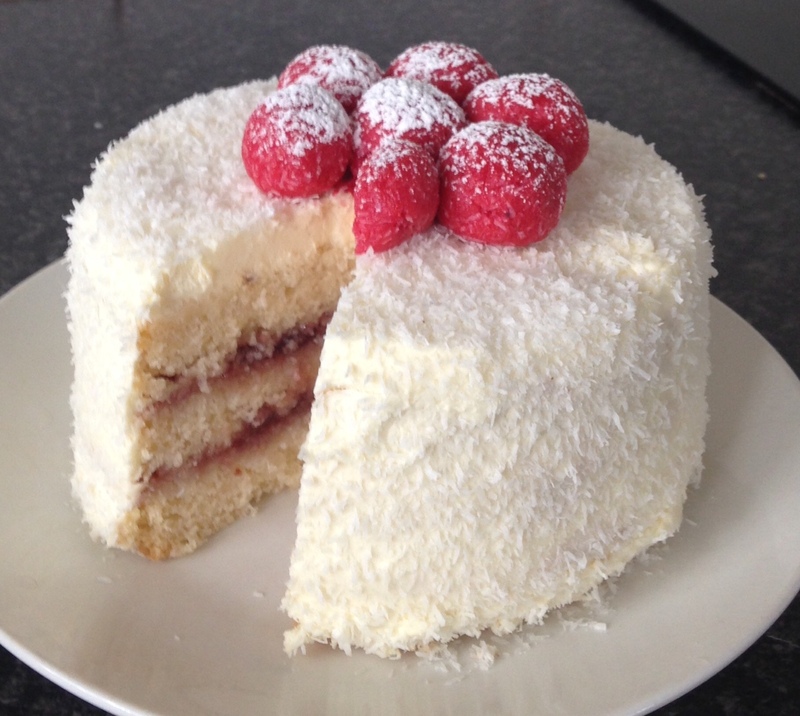 Coat with the extra flaked coconut on the sides and top of the cake and enjoy. 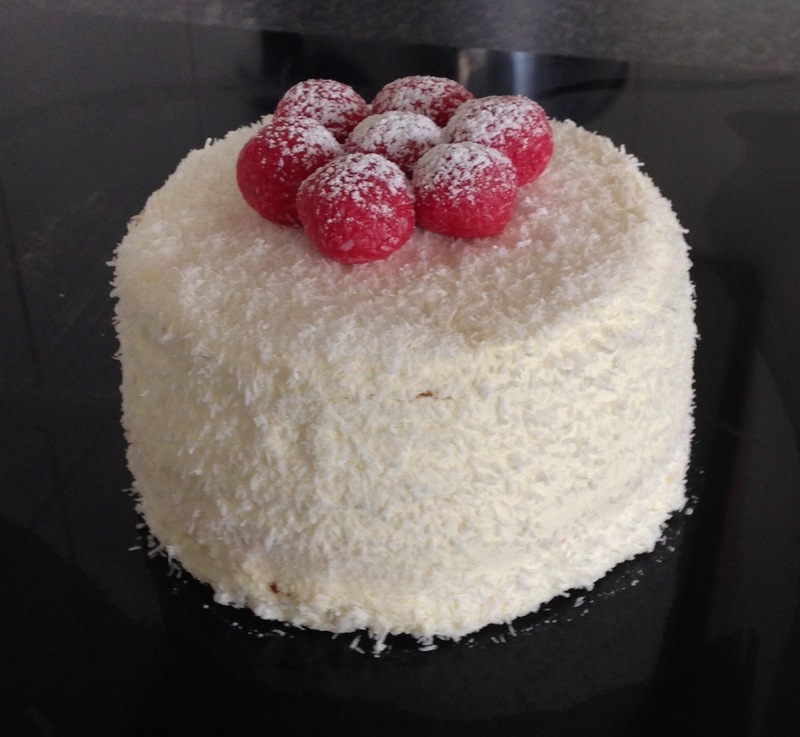 Tags: coconut, raspberry, rum, Rum Coconut and Raspberry cake	.